Once these lines were stuttered at the end of Chapter 22, it was the end of an era. 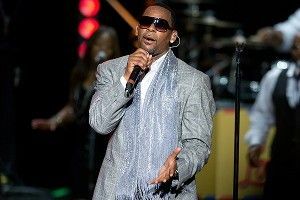 Although R. Kelly stated in an IFC behind-the-scenes screening of this final chapter that it was “going to end with a beginning,” there was no way to tell if we’d ever see Sylvester (husband of Gwendolyn, brother-in-law of Twan), Pastor Rufus (husband of Cathy, lover of Chuck), James (husband of Bridget, lover of Gwendolyn), Big Man (little person male stripper, lover of Bridget), Rose (the nosy neighbor, husband of Randolph), Pimp Luscious (pimping partner of Bishop Craig), Narrator, and the other members of the incestuous Chicago community ever again. Still bummed that new chapters hadn’t been released, I assumed my life would continue on contently with a monthly viewing of Chapters 1-22 — that is, until the news of 2012 was released yesterday evening. Between this news and October’s Love Letter Cruise (tickets STILL available), 2012 will easily go down as the year R. Kelly officially made his seventh career comeback. Chi-town’s finest is BACK (sorry, Obama).